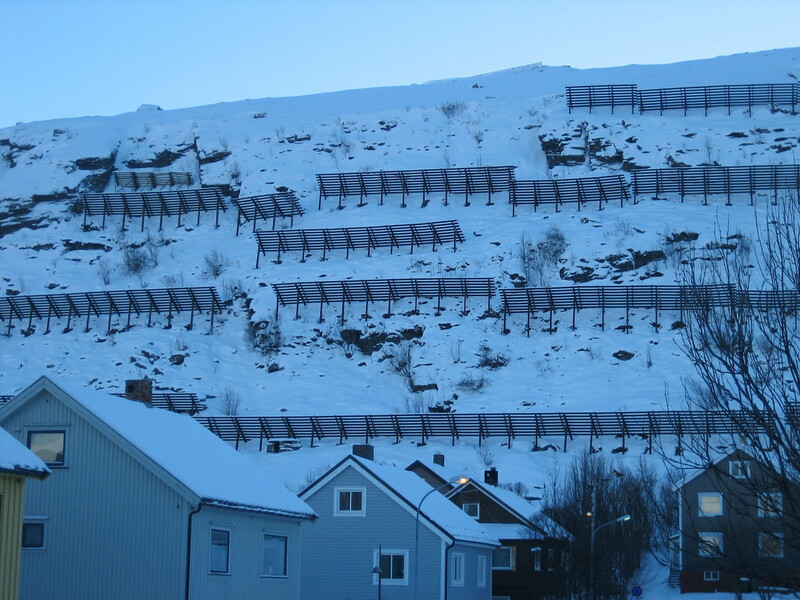 You know you’ve ventured far north when snow protection arrangements adorn the mountainsides that face the destination where you have disembarked from your cruise ship. One such destination is Hammerfest in northernmost Norway. In fact, this is not only the northernmost town in Norway — situated more than 600 miles/965 kilometers north of the Arctic Circle — but also the northernmost town in the world. 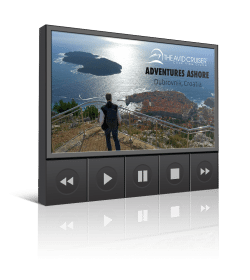 Venture west, and you will eventually end up in Greenland – following a rather long sea journey. Better by far to stay here for a while. “Hammerfest” means “mooring place” and refers to the natural harbor (remarkably ice free year-round thanks to the Gulf Stream) formed by the crags in the mountain. 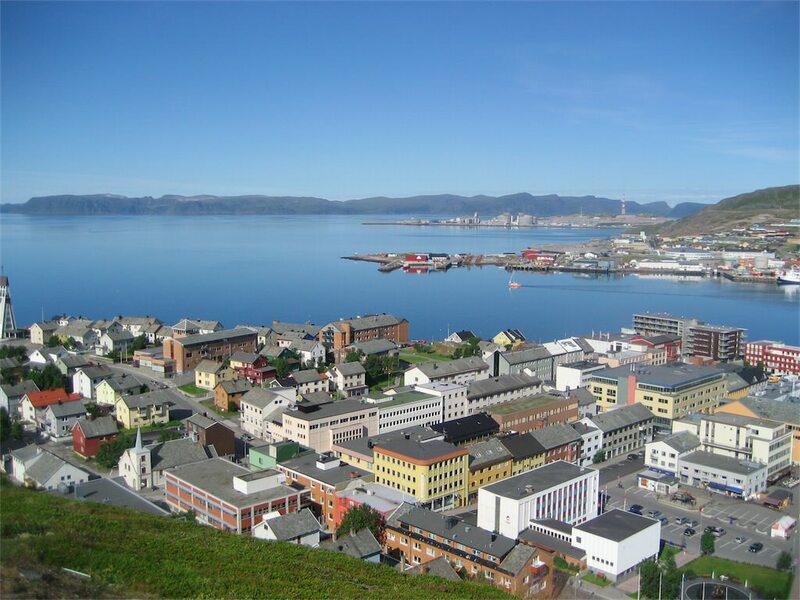 Established as a municipality in 1789, Hammerfest is the oldest town in northern Norway. Its history is largely one about fishing, exploration and hunting. It is no coincidence that the town’s coat of arms features a polar bear (even though you would never find a polar bear in the wild anywhere in mainland Norway). 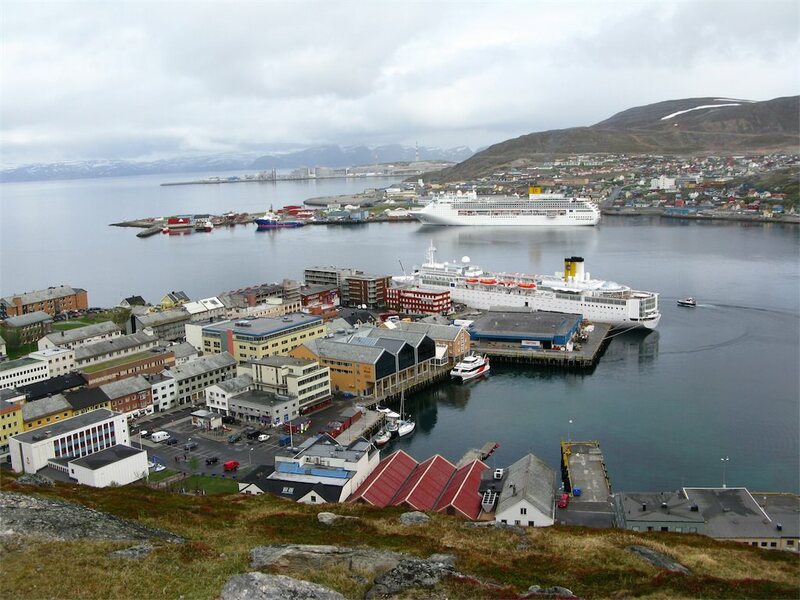 Hammerfest has traditionally been the gateway to the Barents Sea and the Arctic Ocean, a jumping off point for expeditions. While fishing and trade are still important here, focus quickly turned to the oil and gas industry in more recent time. 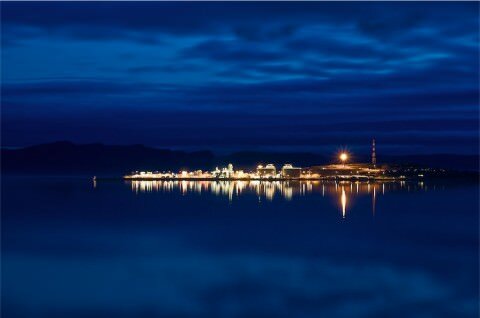 On the island of Melkøya, just off Hammerfest, a unique production facility for liquefied natural gas (LNG) has been constructed. The gas is transported to the facility through an 89 mile/143 kilometer-long pipeline on the bottom of the ocean (at depths ranging from 820 to 1,132feet/250-345 meters). Known under the name Snøhvit (Norwegian for Snow White), this is a unique project that represents the first European export facility for LNG. One of the main markets is the United States. The town may give a thriving impression today, but it has had to endure its share of hardship over the last 200 years or so. In 1809, British warships attacked the town in connection with the Napoleonic wars of the time. Almost 140 years later, in 1944, German troops burned the town to the ground as they retreated. Hammerfest had been a major German U-Boat base during the Second World War. In between the two military attacks, the town burned down in 1890. As a result of these fires, you will find that most of the houses are relatively newly built. The Museum of Reconstruction puts focus on the rebuilding process that the town had to go through in the wake of WWII. The museum is situated close to one of the most well-known buildings: the Hammerfest Church, with its characteristic shape. Ships dock either at the pier within walking distance of the town center or at Fuglenes, about a mile away. Rather than tie up at Fuglenes, ships sometimes anchor and tender passengers ashore to the dock in the town center. Nature. 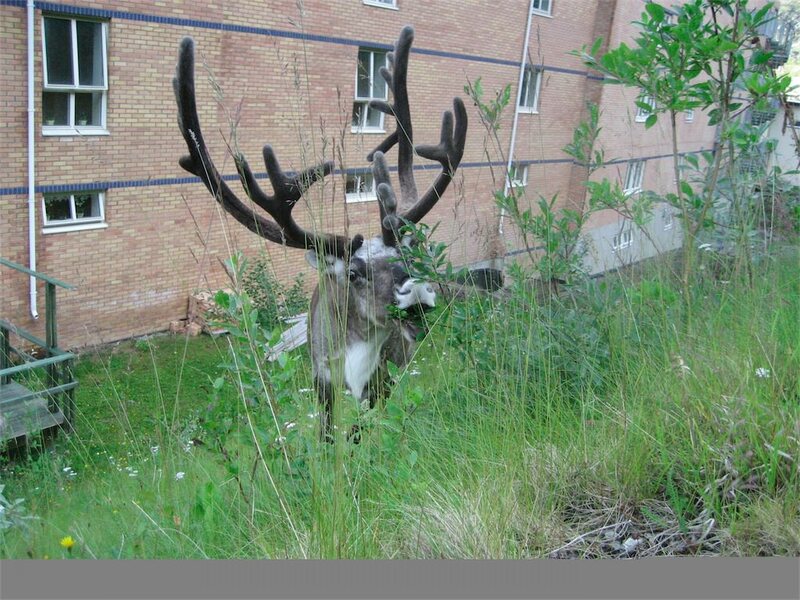 Wherever turn your head when in this northern town, you will be able to rest your eyes on a piece of untouched nature: the sea, a cliff – or an urban reindeer. It’s not unusual to spot reindeer walking the town streets. 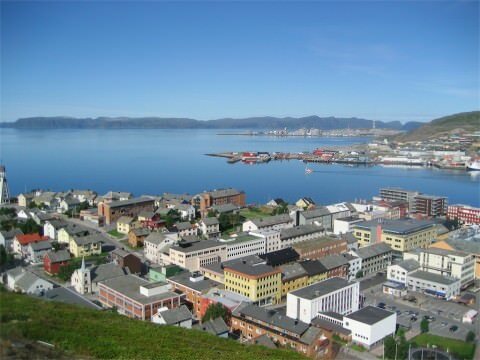 Since 1963, it has been possible for visitors to show the world that they have ventured as far north as Hammerfest. The Royal and Ancient Polar Bear Society issues certificates. The society was founded by two businessmen whose goal was to share the town’s history as a center for hunting and commerce. Different energy sources are in focus at The Energy House: wind, tidal water and LNG. 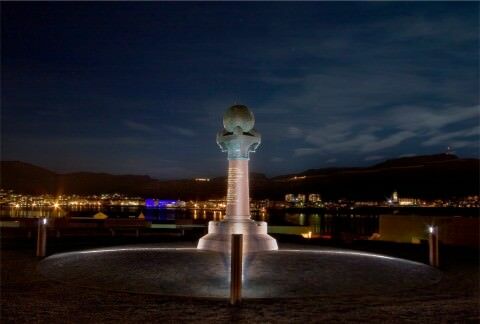 It is situated on the site of the first power station in Northern Europe, which supplied electricity to the street lamps in Hammerfest, the first town in northern Europe to introduce electric streetlights, in 1891. The Museum of Reconstruction puts focus on events that affected and changed the whole town: the evacuation and subsequent burning of the town that German soldiers carried out toward the end of WWII. Close to the Museum of Reconstruction is the Hammerfest Church with its distinguished architecture. It is said that the architect behind it was inspired by fish flakes used for drying fish. The town also features a Catholic Church, said to be the northernmost of its kind in the world. 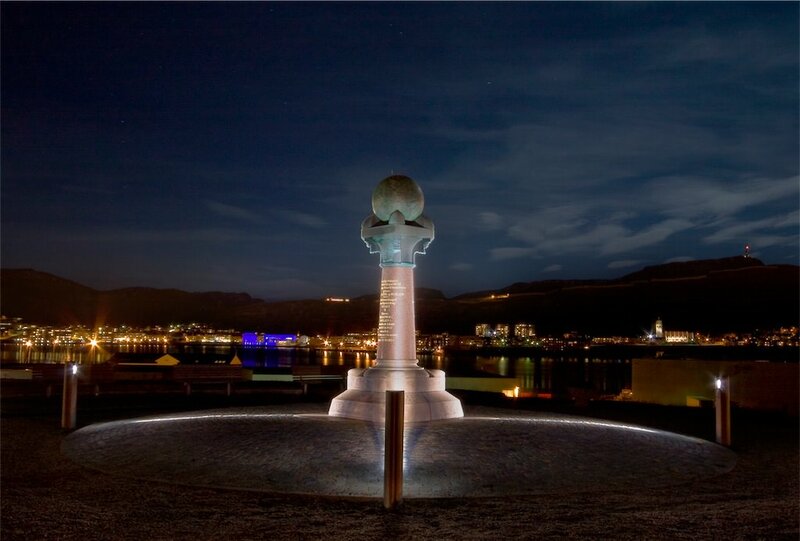 Due to its northern location, Hammerfest boasts the UNESCO World Heritage-listed Meridian Column (Meridianstøtten, in Norwegian). It was erected as a symbol of the first measurements of the globe’s circumference. Erected in 1854, the Meridian Column is situated some distance from the town center, in Fuglenes. Close to the port is the Arctic Cultural Centre (Arktisk kultursenter, in Norwegian), the regional cultural meeting place. The oldest construction in Hammerfest and its surroundings is not a house – it’s a landfall mark that survived the devastations of the Second World War. The Kjøttvikvarden points to the sky from its position on the 1,050 feet/320 meter high Kjøttvikfjellet. A tour to Alta, the commercial center at the Altafjord where Sami people have come to trade for more than 200 years now (each March and December). Mount Salen, close to the town, stands at 262 feet/80 meters high and offers splendid views of the town and the port. You will also find the Sami camp Mikkelgammen on Mount Salen. The camp is a destination on some organized shore excursions. The Royal and Ancient Polar Bear Society (see above) can be the focus on some excursions. Fuglenes and the Meridian Column (see above) can be visited during some excursions, sometimes combined with a visit to the fishing village of Forsøl to see remnants from as far back in time as the Stone Age. During a boat trip on the Akkarfjord, participants can enjoy the spectacular scenery of the fjord. The captain usually makes a few photo stops. 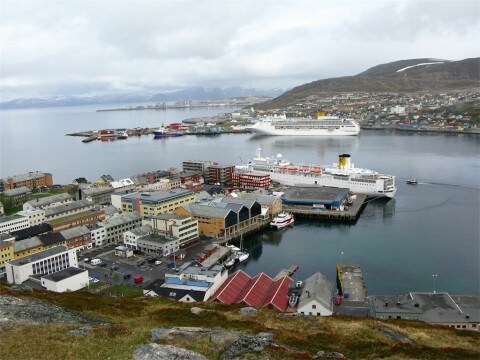 The North Cape is also available on some shore excursions from Hammerfest. If you were to travel by car, it would take you approximately 26 hours to get to Norway’s capital, Oslo. The distance is some 1,180 miles/1,900 kilometers. 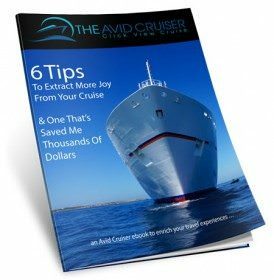 Avid Cruiser Posts, Photographs and Videos Featuring Hammerfest.